The exclusive LACREON technology locks in a moisture-rich ingredient that keeps your lenses comfortable all day long, and relieves you from feelings of dryness and discomfort even at the end of the day, when your eyes are tired and need the most hydration. They are ideal for people who live a busy, bustling lifestyle, but don’t want to sacrifice comfort and eye health. Designed to block over 75% of UV-B radiation, they offer one of the highest levels of protection available in daily disposable lenses, and are particularly suited to seasonal allergy sufferers, too. By Joan on 26 March 2019 Only disappointment was it stated next day delivery and it did not happen. By Lisa-Marie on 26 March 2019 Sometimes I find that these are uncomfortable for no apparent reason. My hands are clean when putting them in, they are the right way and doesn't seem to be dirty or anything in my eyes. noticed as soon as I put them in so definitely not dry. maybe its just me. They're the only ones I've ever tried and was given them by my optician so I don't want to stray away from them. By Bernadette myopic! on 21 March 2019 Extremely comgortable. By Libby on 19 March 2019 Comfortable lenses, softer than my usual ones so needed to be gentler handling them. By Kokyee on 16 March 2019 A bit more expensive than other brands but good quality (a softer lense) and my eyes feel better for it. By Mark Hehir on 15 March 2019 I'm really quite new to contact lens wear, so still becoming accustomed to it, but I can wear these all day without any problems. By Sue Smith on 15 March 2019 Good value for money. By Karen Winton on 12 March 2019 I've been wearing these lenses on and off for about 10 years and have always found them to be comfortable and easy to wear during the day. By Ian McSally on 11 March 2019 All good. By Siddiga on 08 March 2019 Always ordered from here, always on time and soo much cheaper then buying at opticians. 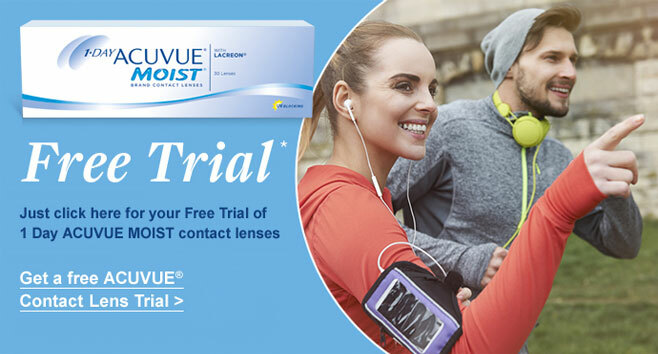 By Sarah W on 02 March 2019 I have marked the quality down on the product as there were 2 contact lenses within the pack (so far) which I was unable to see out off - they were not the correct lenses. Other than that the contacts are really good. They do not dry my eyes and have been able to wear for longer than 12 hours. Would recommend. By Pauline on 02 March 2019 Comfortable and easy to wear. By Andrew Weston on 01 March 2019 Not as good quality as other products but suitable for me as only wear for up to 5 hours. By Mrs Hawkins on 01 March 2019 Very good. By Nubia on 19 February 2019 The best, and the best customer service. By Kevin Hornby on 16 February 2019 Very consistent. By Tom Kane on 12 February 2019 It’s an excellent product. By Nicola on 06 February 2019 Wear nearly everyday. Good trusted product. By Miss Rachael Young on 06 February 2019 Great, easy to make sure they are correct way round with the handy 123 also very comfortable for all day wear! By Ali on 05 February 2019 Seems to have changed during the last few months. They now feel thinner and don't last as long in the eye before getting dry. Disappointing as they were excellent before but only average now. By Mr Gordon Mackett on 05 February 2019 Great lenses, at a great price. By Syed on 31 January 2019 This website is great ! Always sends out my contact lenses on time especially in times of emergency and I’m almost blind ;)) !!! By Mrs Stella Davies on 30 January 2019 Never had any issues. Price is ok too.